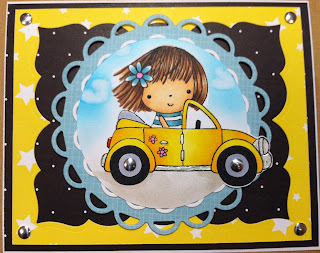 If you have followed my blog, many of you know that one of my favorite images to color involves "MIMI' from Penny Black. Well, she's back! 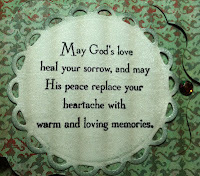 I have two cards that I'm going to share. 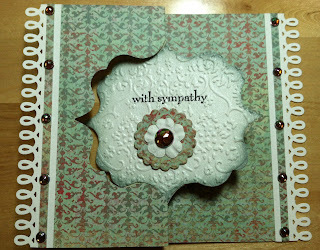 You will notice that when I make my cards they usually don't have a sentiment. 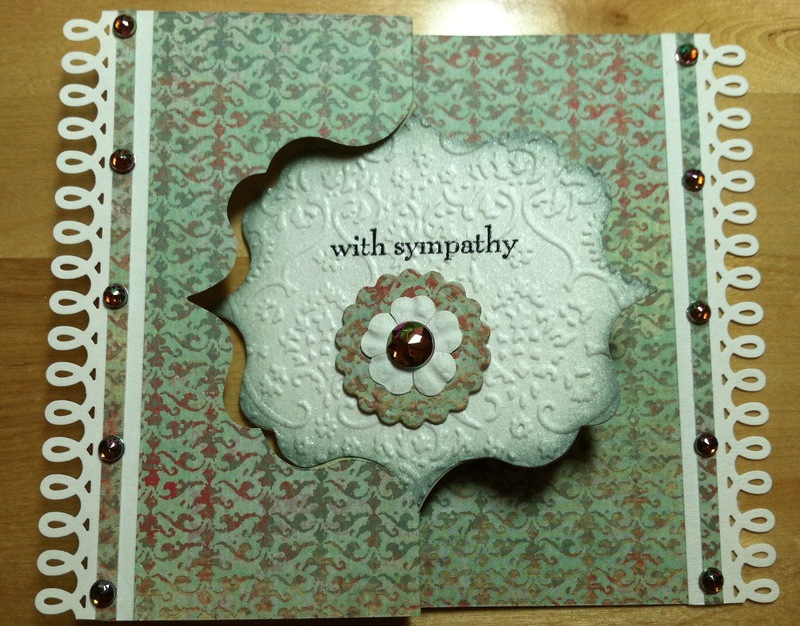 I like to make cards and have them ready for any occasion and then I can finish the card when I need it. 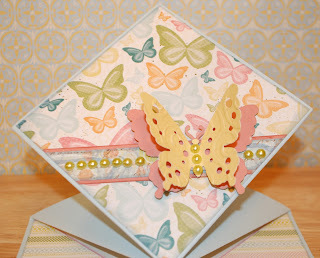 I have been playing with some new Pinecone Press Papers, plus my scrap bins. 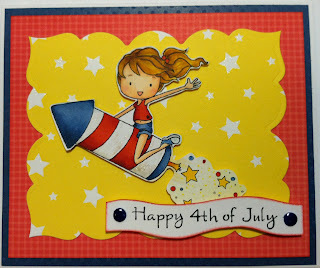 I wanted to share one of the cards I made for the 4th of July. This is a Digi from Sweet November and colored with Copics. Papers are Bazzill and Pine Cone Press. I hope you have a great weekend and a Sparkling July 4th. So.. What Have You Been Waiting For??? 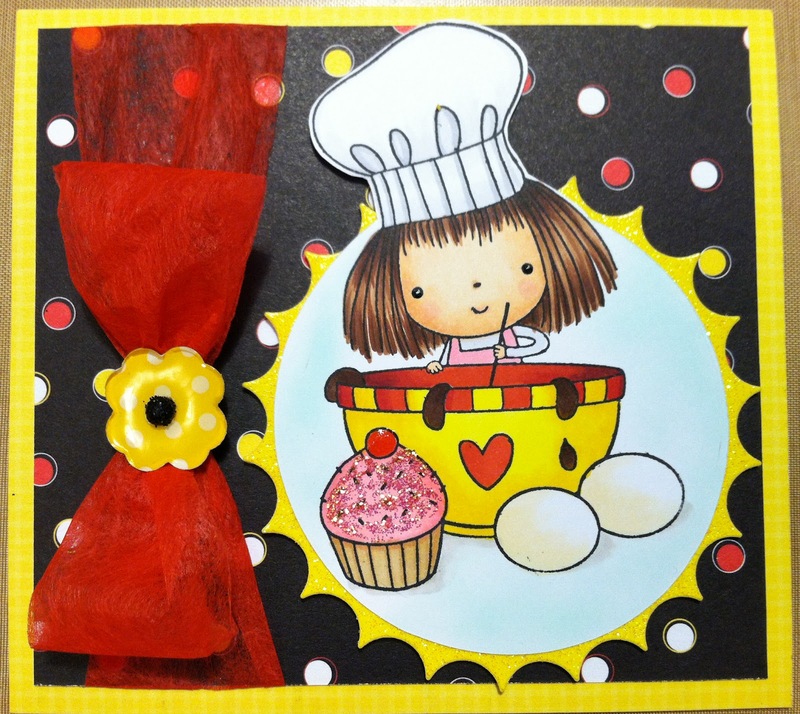 All About Pictures, Cardmakers Day Camp, what are you waiting for. Here's a sneak peak at one of my classes, CARDS WITH UNIQUE FOLDS. Today I want to share with you the details of All About Pictures 1st Cardmaker's Day Camp. As you plan the summer for the rest of the family, why don't you sign yourself up for Camp!. No overnight stay, but a fun day for you to enjoy friends, card classes and crafting. Go over to the AAP blog and get all the details. I just want everyone to be aware that a special announcement will be posted here tomorrow. 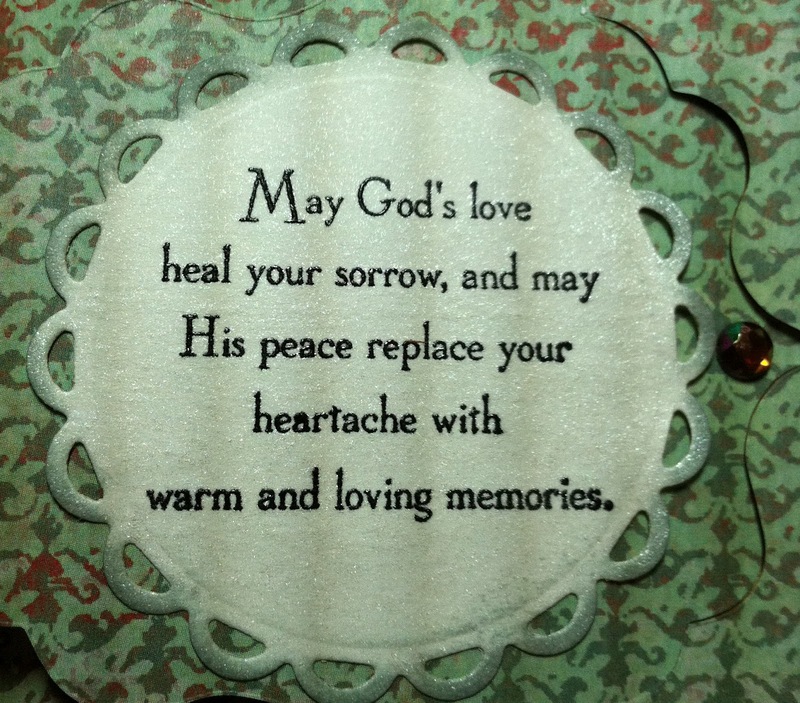 Tonight I needed to make a Sympathy card for someone at my church, so before I put it in the mail I thought I would share. 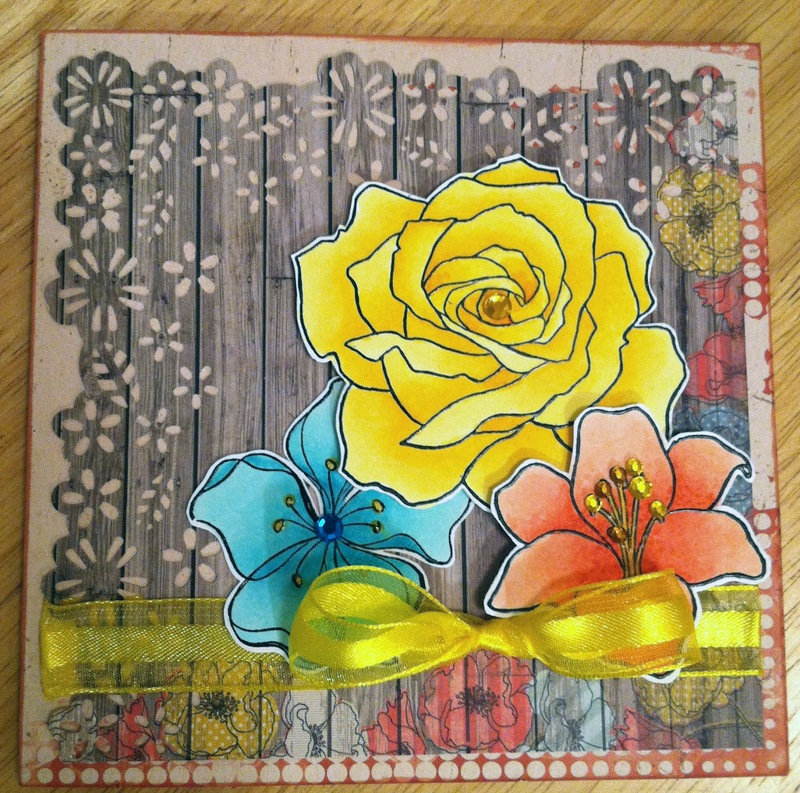 This card was made with the Sizzix Fancy Frames Flip-its die. I love the way these dies work. 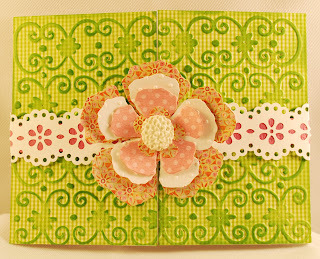 I used double sided paper and added edge pieces from a Martha Stewart punch. 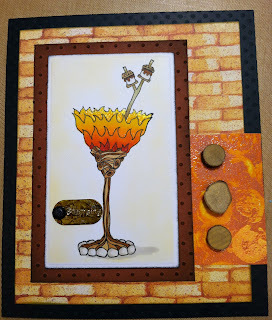 The card really didn't photograph as well as I would have liked, but maybe that' because I used my cell phone camera. Hope you enjoy. You really need to visit this bog. I have been following one of my favorite blogs this weeks and really would encourage everyone to hop on over here and visit Amy's blog. All three of the designers are so talented and I have fallen in love with the new releases. The images are so much fun. 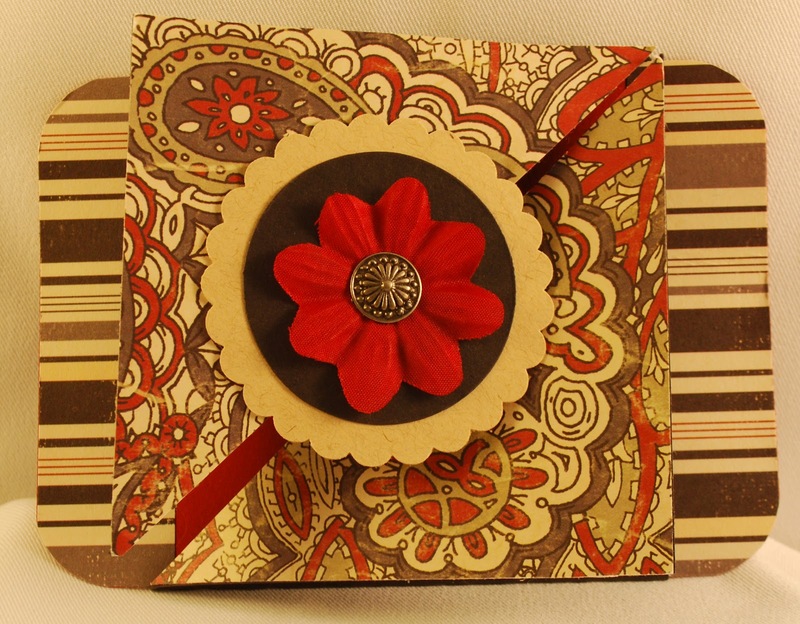 Also, if you leave comment for Amy, she is doing some great give-a-ways. 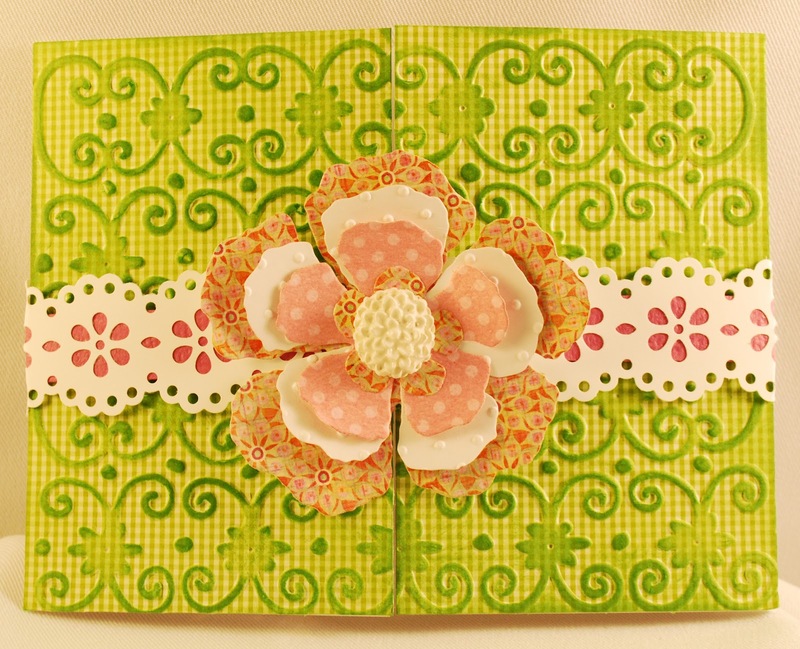 This week I've been making some final touches on re-arranging my tables and supplies in my scrapbook room. As always when I clean I find extra things that are tucked away. 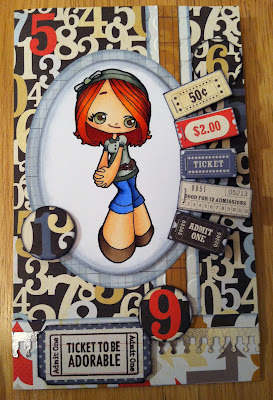 So, when I came across pre-stamped images to color, I started working on some of those this week. 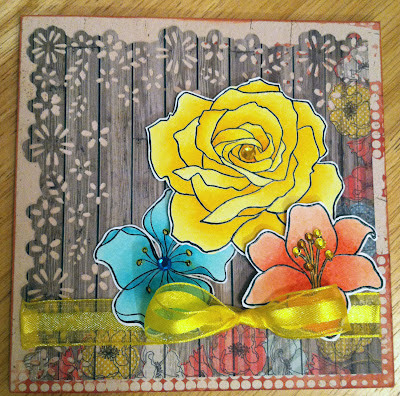 These three flowers are so simple and add that special pop of color to a simple paper. 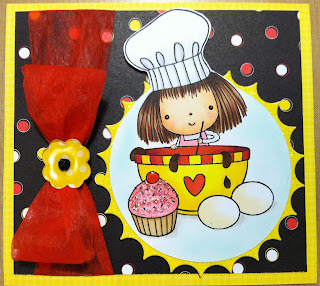 Using a Martha Stewart border punch, I added a little interest to the paper edge and there you go... a fun, simple card. Here's another favorite image that I want to share. 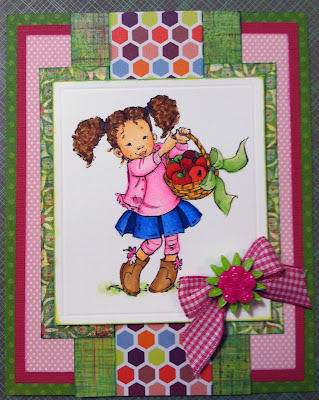 This little girl has that super heavy basket of apples and her oh so curly hair. I picked my marker colors to go with the paper. 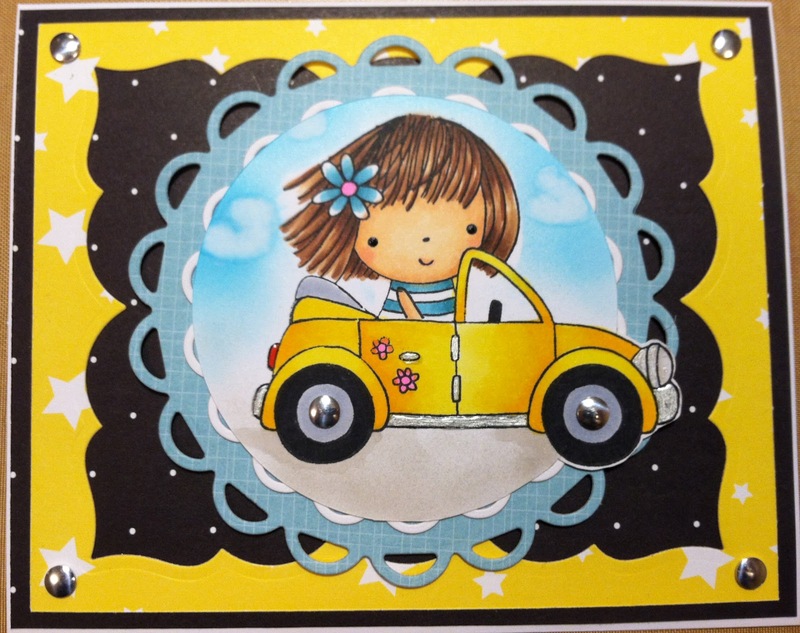 Tonight I wanted to share a card that I colored with Copic Makers and then used my new paper pad from Echo Park. The collection is "Note To Self", which I think seems to have a Retro feel. The Digi stamp is from Some Odd Girl. I love this line of stamps and all the 'big' eyes that the girls have. I chose one of my favorite hair colors, which somewhat set the tone for the card. She's just a little 'sassy' . Spice-Mint, Echo Park - Note To Self, Close To My Heart - Just the Ticket Stamps.